Who doesn’t love the combo of bubbly and beauty? 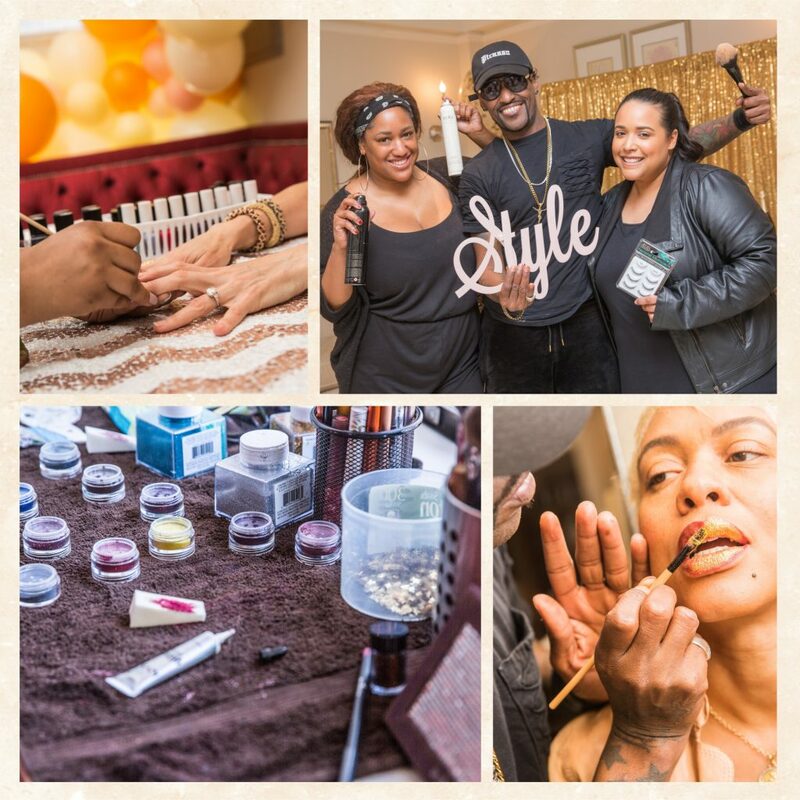 We brought some of our dear friends together for our first ever Sip, Sparkle & Style event. 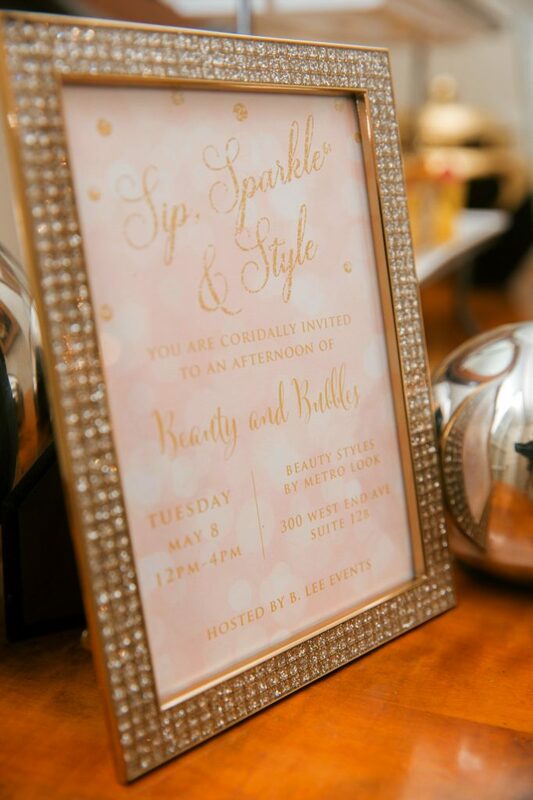 Sip, Sparkle & Style was an afternoon of delicious champagne, tasty treats and beauty styling from Metro Look NYC. This type of event is perfect for a birthday party, bridal shower, baby shower or just a Girls Night Out! 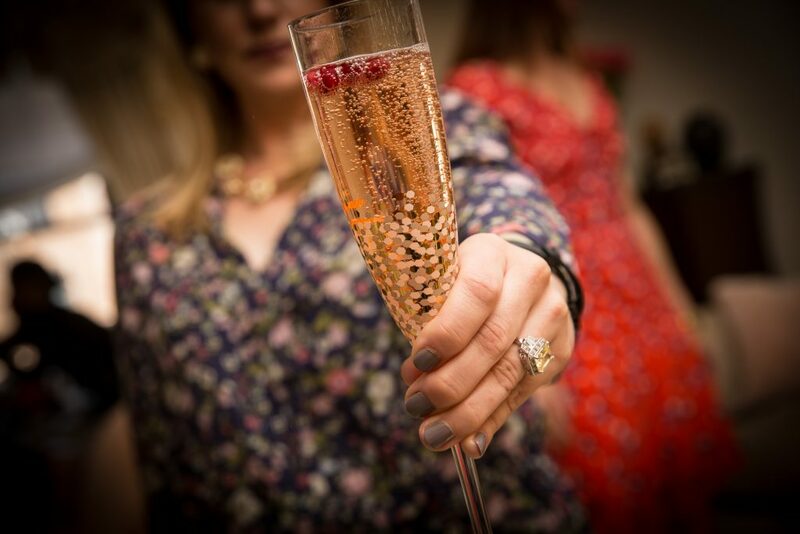 Setting the tone for our Sip, Sparkle & Style event was essential for us. We wanted our guests to feel the decadence of the event right from the start. We found these beautiful invitations from Jadore Paperie. The light pink with illusion bubbles and sparkly gold lettering was elegant, chic and playful. When considering floral décor, we wanted to find the perfect balance between feminine and playful. Posies NY captured the essence of Sip, Sparkle, & Style by creating several high and low pieces that were placed throughout the rooms. The colors were rich with shades of champagne and blush colors that blended perfectly with the mix of gold and pink accents within the space. We also used Craft Cuts wood stencils for additional decor and to set the theme. We decided to add a bit of whimsy to the event with the amazing stylings from Balloon Kings. 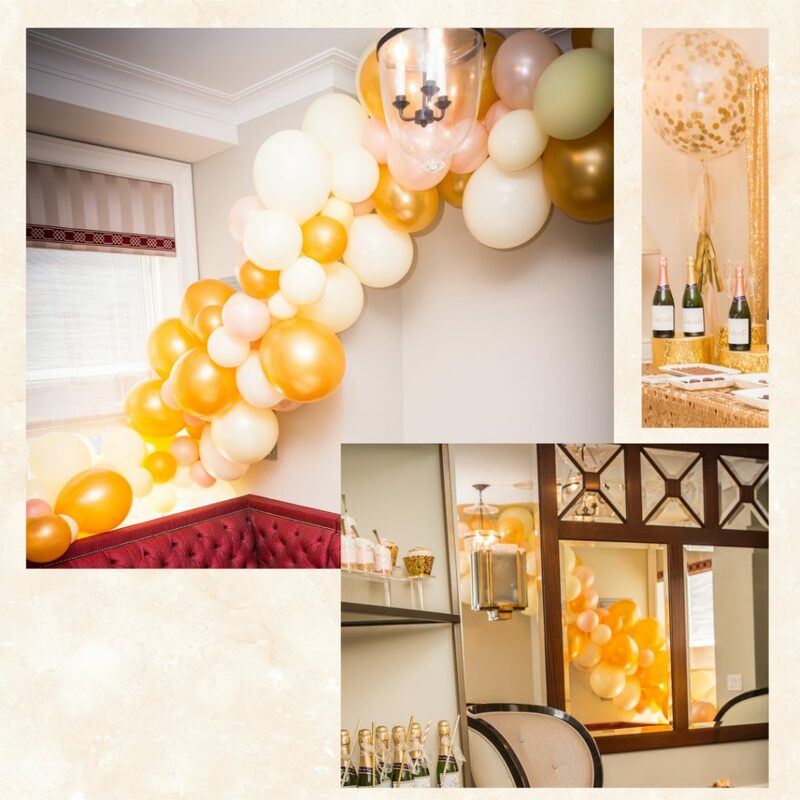 The team created a perfect champagne and gold balloon garland that evoked champagne bubbles as wall décor for our manicure section. In addition, 36 inch confetti filled balloons with gold and champagne tassels dressed up open areas and corners and doubled as a perfect photo background for our guests. On to the bubbles! 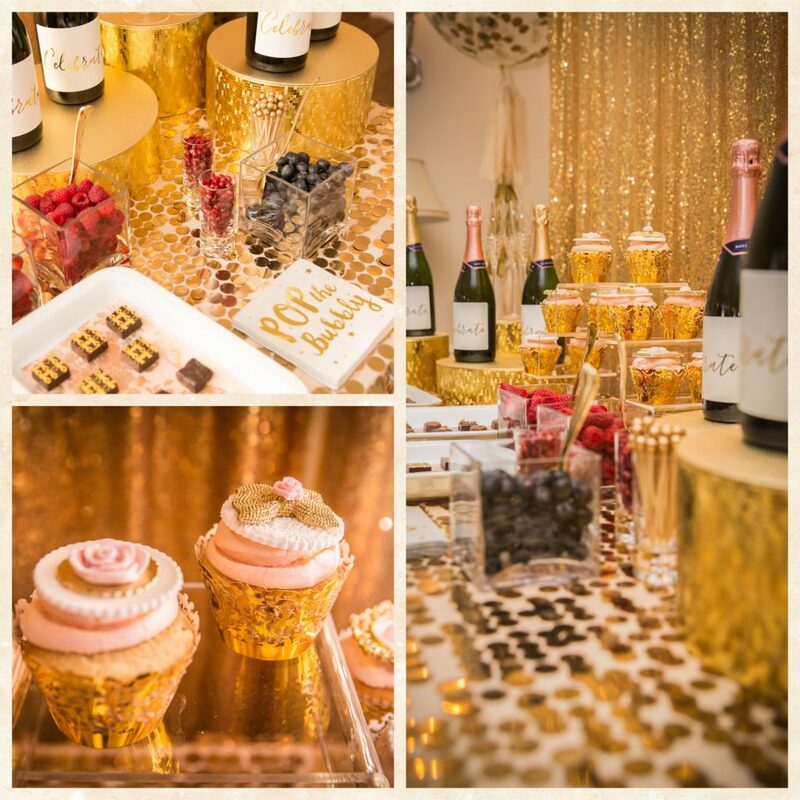 We wanted our guests to be dazzled by the Bubbly Bar, so we chose a glamorous gold sequin backdrop, tablecloth and table stands from Party Supply for Rent in Brooklyn. Of course the focal point for the bar was the “sparkle”!! Domaine Chandon creates affordable and tasty sparkling wine that was perfect to enjoy all afternoon. We dressed up our bottles with fun foil labels from Chicfetti on Etsy as our base for the Bubbly Bar. We complimented the bubbly with fresh fruit such as strawberries, blueberries and pomegranate seeds. The deliciousness was not complete without decadent chocolates from Jacques Torres. 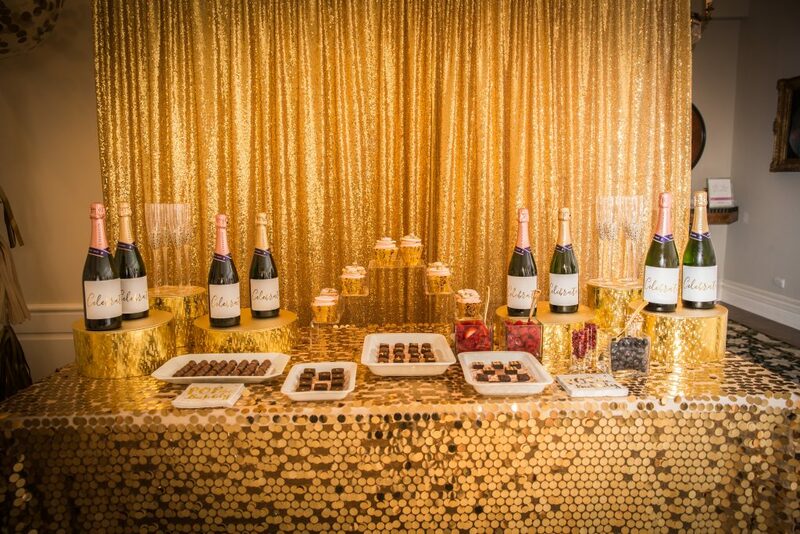 We chose several flavors from dark chocolate to spicy chocolate that complimented the champagne and fruit. We also added a beautiful cupcake centerpiece with cupcakes from a New York City staple, Magnolia Bakery. These cupcakes were decorated with works of art fondant cupcake toppers from A Dose of Pink. 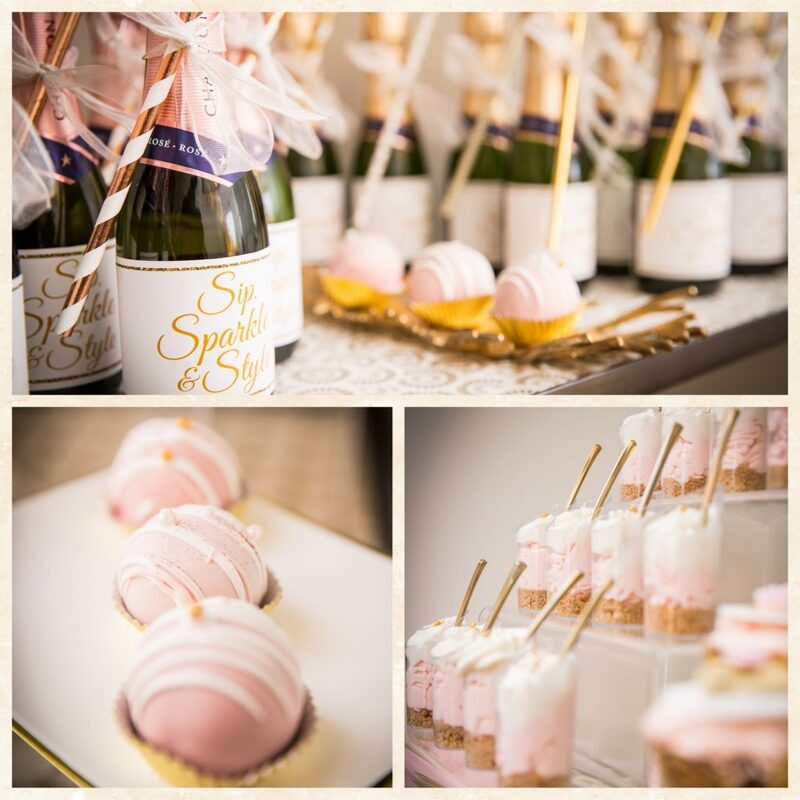 In addition to delectable cupcakes, we had the pleasure of working with Sweetz by Q. 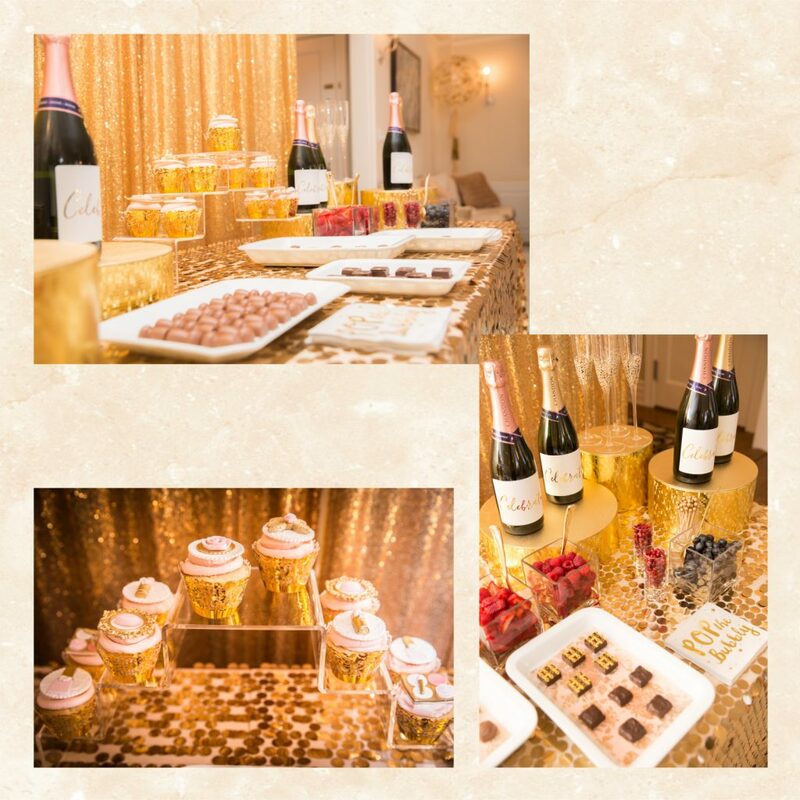 They created decadent cheesecake shooters, mulit-flavored cake balls and stunning chocolate covered oreos, all reflecting the champagne bubbles and colors for our event. Cute labels for our mini champagne bottles from Prepping Parties to tie in the theme. Finally, we were blown away by the amazing stylings from Metro Look. From gorgeous lashes, perfect polish, stylish braids and show stopper glitter lips, The Metro Look team were absolute gems to work with and our guests were so happy with their new looks!! 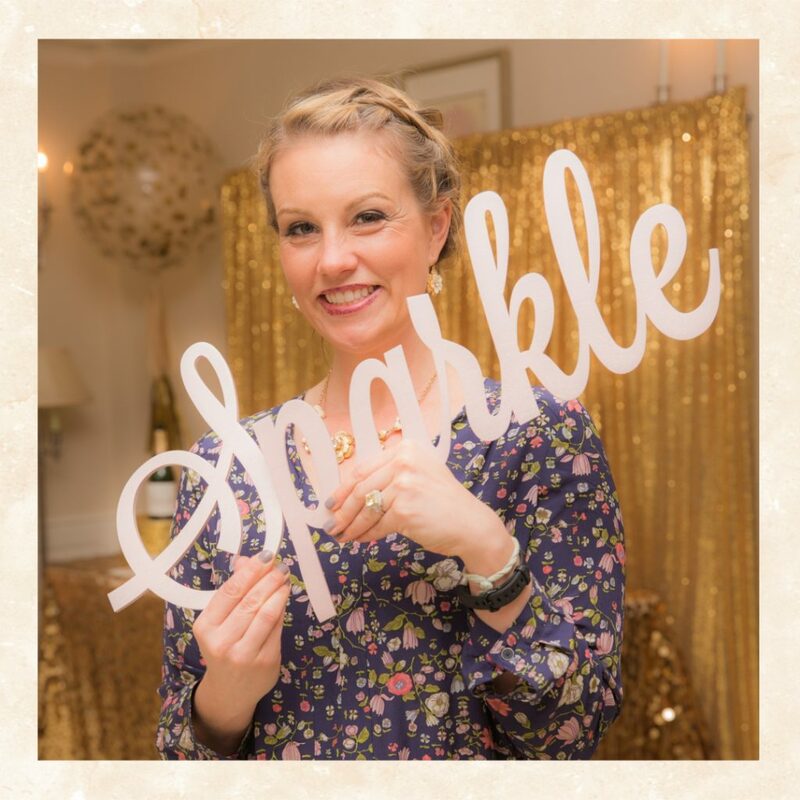 If you are looking for a great alternative to a Bridal Shower, Baby Shower or just a Girls Night Out, a Sip, Sparkle & Style is the perfect setting for you and your besties. 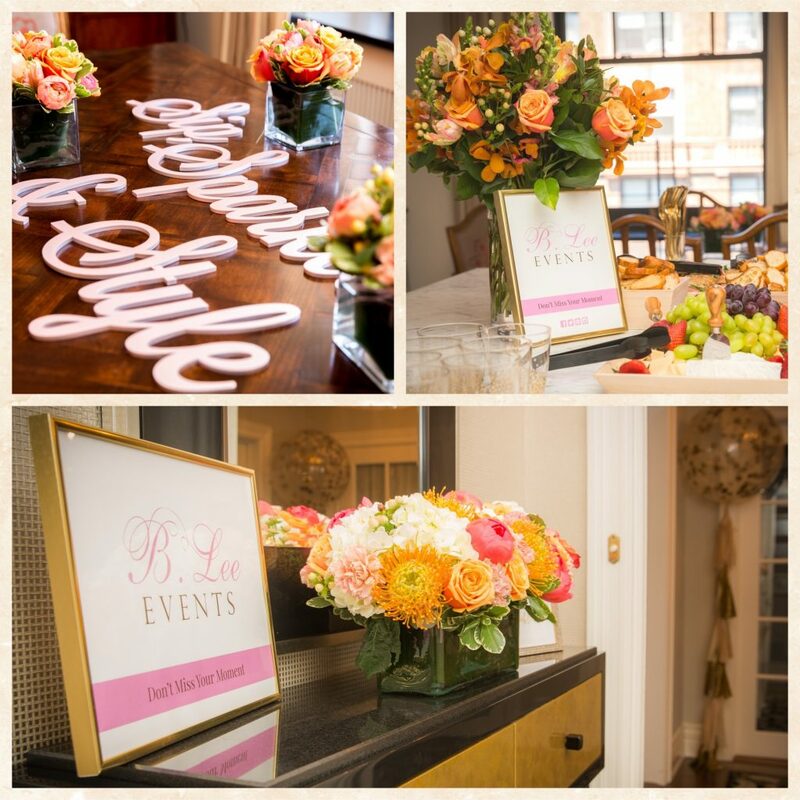 For more unique and creative party ideas, check out our website www.b-lee.com for information and on Instagram @bleeevents for more party shots!